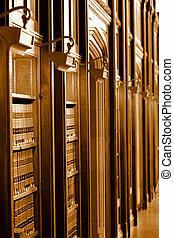 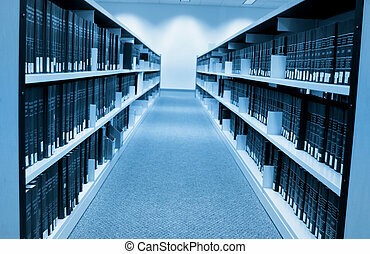 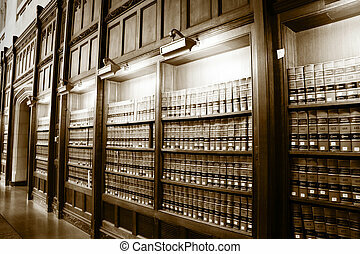 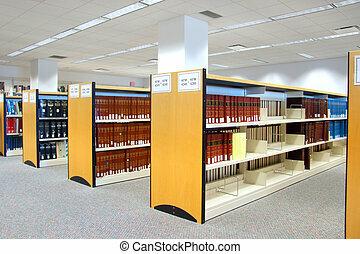 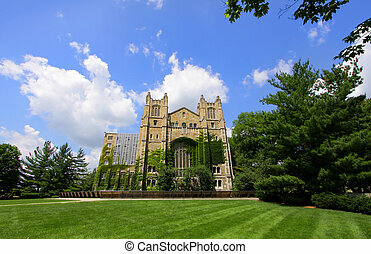 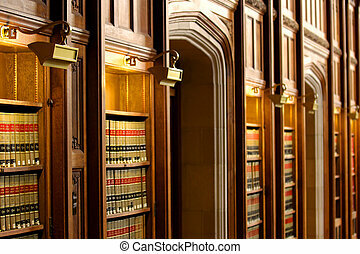 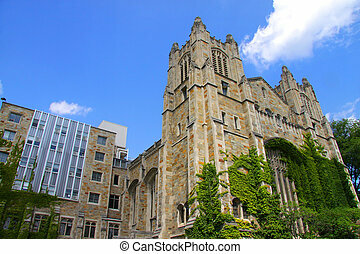 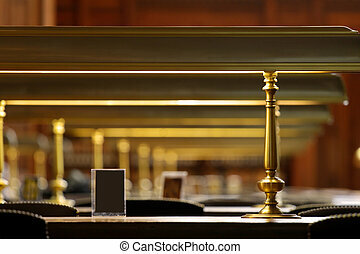 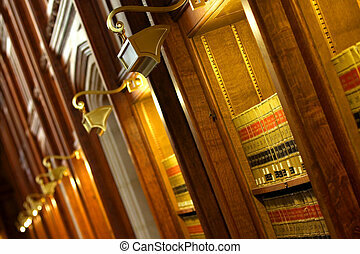 Close up shot of books in law book library. 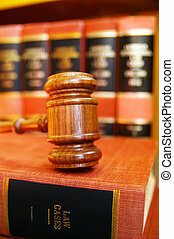 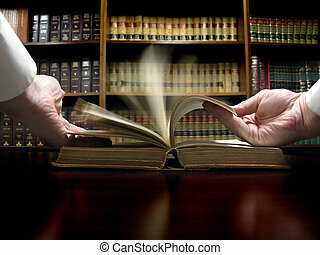 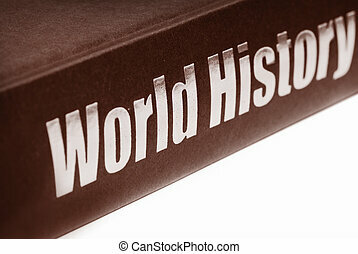 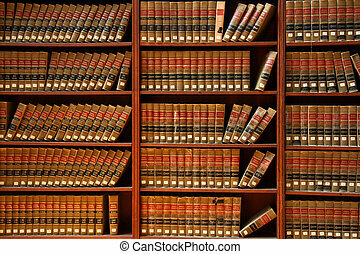 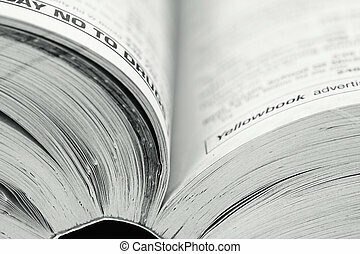 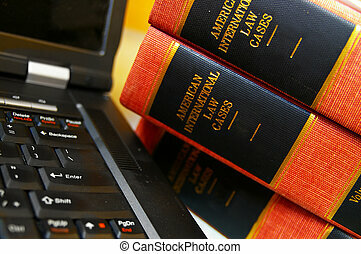 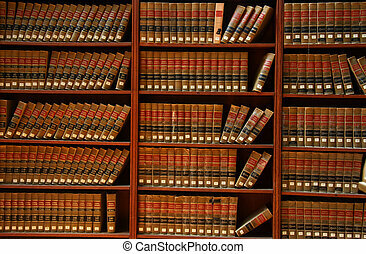 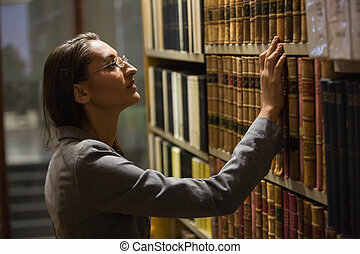 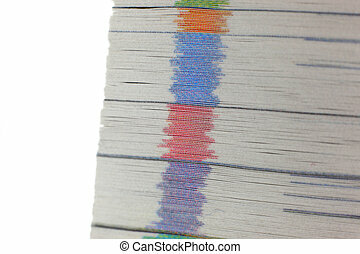 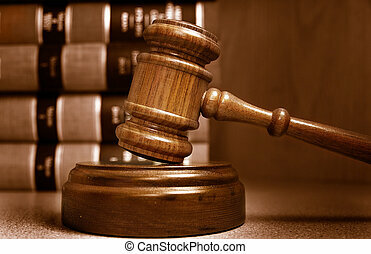 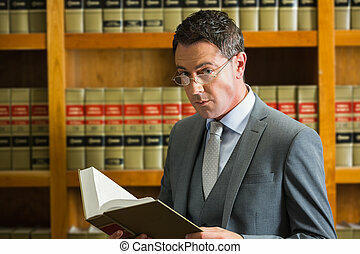 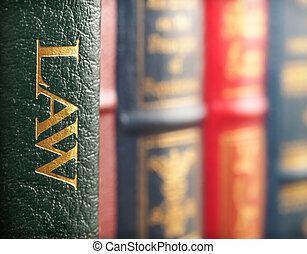 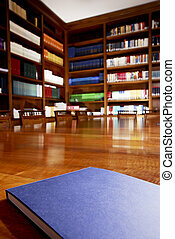 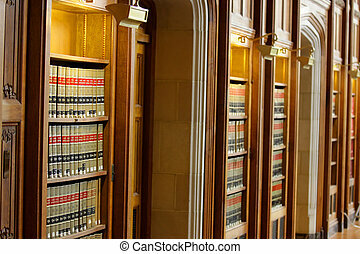 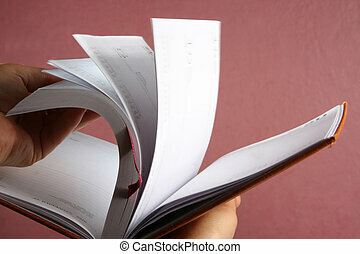 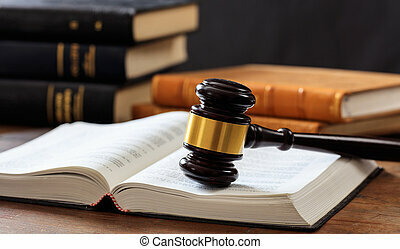 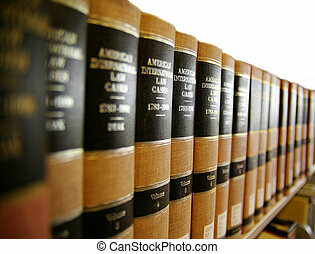 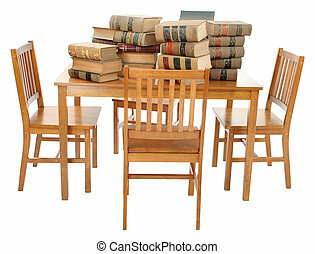 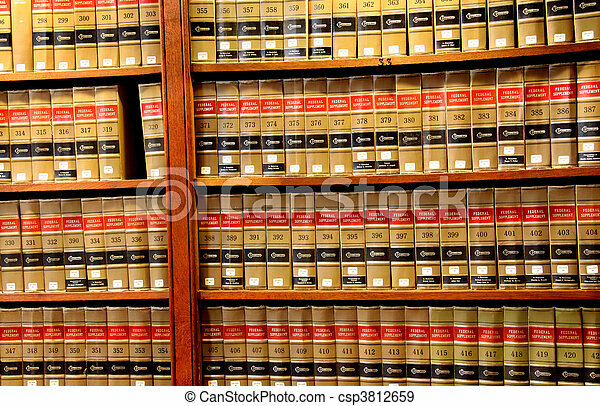 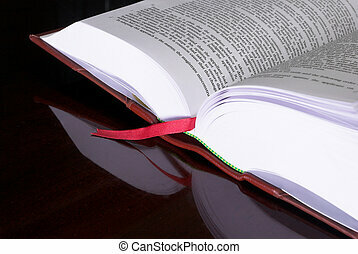 ***copyright on books has expired*** Stack of old dirty law books on table over white with clipping path. 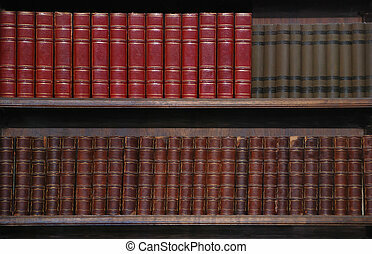 Two rows of old books on bookshelves.